This summer wedding on the south coast has it all! A heartfelt, emotional and teary eyed ceremony under a secret waterfall. Hiking in the hills above said waterfall for some portraits. Exploring high sea cliffs towering over the black sand beaches, roaming around endless fields of wild lupine, making out in a filed of buttercups only to find yourself all of a sudden surrounded by a group of curious Icelandic horses. And then ending the perfect day in an old “Skyr” factory for a dinner with you closest family and friends who all traveled thousands of miles to be with you just for this. Lots of laughter, sprinkled with some tears of joy, amazing food topped with a Instagram worthy wedding cake and then dancing long into the night. 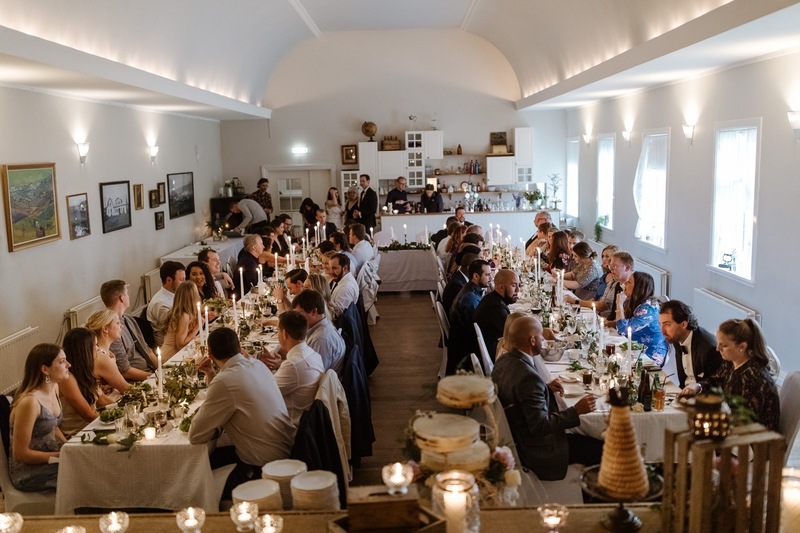 It can be a daunting task to plan a whole destination wedding in a far away place like Iceland but when things work out as beautifully as it did for Leanne and Craig it’s well worth all the planning and logistical troubles you find on the way.